As your real estate agent, I'll bring my 48 years of experience successfully buying and selling homes in the local market. (48 years is important, because I am also one of a few, select FULL TIME Agents).I know the neighborhoods, schools, market conditions, zoning regulations and what it takes to make the deal go through. It would be my honor to serve as your real estate agent. 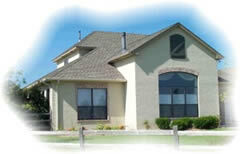 Let's get together to talk about your home buying and/or selling plans. Call me at the office (5086796888) or on my cell phone (5089657660) or send me an e-mail (Homes@carolbrannakarealtors.net), we'll set-up a time to meet that is easy and convenient for you.